Patients with a history of acute or recurrent episodes of pulmonary embolism (PE) are at higher risk of life-threatening complications, including chronic thromboembolic pulmonary hypertension (CTEPH). CTEPH is believed to be caused by unresolved thromboemboli in the pulmonary artery circulation that persist following long-term treatment with anticoagulation agents. Fortunately, CTEPH is a curable condition for some patients via pulmonary endarterectomy (PEA), which remains the mainstay of treatment. However, many patients cannot undergo surgical correction and, thus, must depend on medical management. More recently, PAH-targeted therapies are being utilized in these patients, including pulmonary vasodilators and remodeling agents. These agents exhibit promise in providing alternative options for patients that cannot or prefer not to undergo PEA. Primary care providers (PCPs), including family physicians, doctors of osteopathy, internists, nurse practitioners, and physician assistants, are typically the first-line of provider-patient contact, either during well, sick or follow-up visits, and are instrumental in patient education. However, when evaluating the post-PE patient, PCPs are often unaware of the early signs of serious complications that can result from a PE episode, such as CTEPH. Though CTEPH is curable for a large portion of patients, favorable clinical outcomes are dependent on early detection and treatment. Screening for CTEPH among PCPs remains a challenge that can severely delay referral and treatment. With greater awareness of CTEPH, PCPs can play an integral role in improving the long-term outcomes of CTEPH patients. At the conclusion of this activity, learners will be able to apply evidence-based, patient-centered strategies into their clinical practice. This continuing medical education activity meets the needs of primary care providers who can contribute to screening and early detection of CTEPH among post-PE patients and who are responsible for the long-term management of post-PE patients. Dr. Dustin Fraidenberg, MD has no relevant financial relationships to disclose. Dr. Fraidenburg does not discuss any off-label uses. Copyright © 2018-2019 Vemco MedEd. All Rights Reserved. 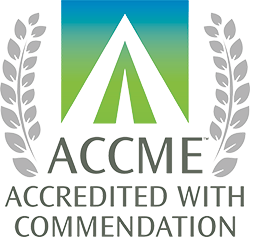 Permission for accreditation use granted to Center for Independent Healthcare Education. This activity is supported by an educational grant from Bayer Pharmaceuticals. I have read the entire CME information.